Corrente Bello — The Land Group, Inc. The Land Group provided full planning, landscape architectural, and civil engineering services for this residential subdivision in Eagle, Idaho. Taking the project through the city entitlement process, The Land Group produced plans from concept through construction documents for all aspects of site and landscape design. The scope of work included planting designs for all commons areas, street buffers, and parks. 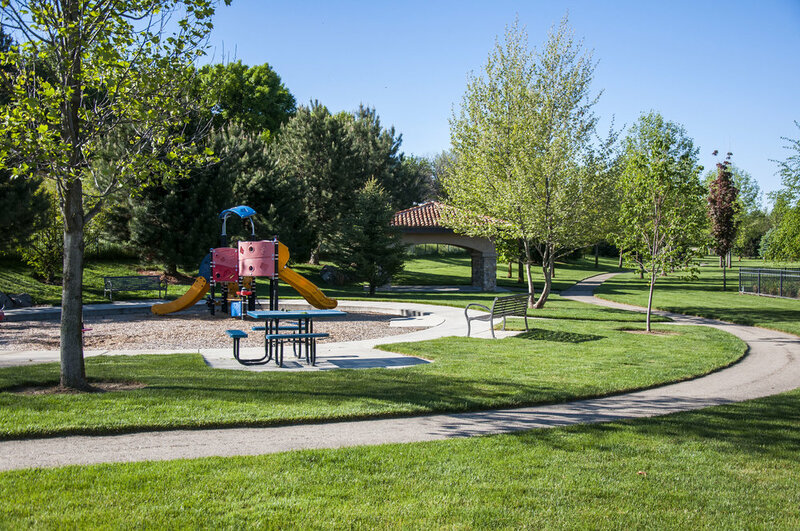 Additional site elements included the design of a one acre irrigation pond and pump house, design and detailing of a central water feature, entry monuments, and gazebo design. A neighborhood park was planned and designed to include a children’s playground, swimming pool, shade structure, and parking lot, with coordination with the architect for a clubhouse building. Full civil design was provided including grading, drainage, and utility layout for the site.